Citation: Berger MS, Divilov V, Paredes H, Sun E (2018) Abdominal Paracentesis: Safety and Efficacy Comparing Medicine Resident bedside Paracentesis vs. Paracentesis Performed by Interventional Radiology. 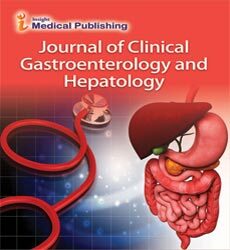 J Clin Gastroenterol Hepatol Vol.2: No.4: 21. doi: 10.21767/2575-7733.1000050. Background: Patients who are hospitalized for decompensated cirrhosis often require an abdominal paracentesis. Several studies and various societies have deemed this procedure to carry low risk of complications. However, Hospital Internists are increasingly referring this procedure to Interventional Radiology (IR) to perform. As a result, hospital costs, use of resources, and patient length of stay (LOS) have all risen. The primary aim of this study was to compare the complication rates after paracentesis performed at bedside by Internal Medicine Residents with those performed by Interventional Radiology Attendings. The secondary aim was to compare additional clinical outcomes including time to procedure, bacterial culture yield, and transfusion rates between the two groups. Methods and Findings: A retrospective analysis was conducted of all paracentesis procedures performed on patients admitted to a single large academic tertiary care medical center from July 2017 to April 2018. Data was queried based on procedure notes and orders placed in the electronic medical record. Clinical outcomes were assessed up to 48 hours post index procedure and compared between patients who had bedside and IRguided procedures. 118 paracentesis encounters were included in the final analysis. Complication rates regarding hemorrhage, persistent leakage of fluid, abdominal perforation, and ICU transfer were similar between bedside and IR paracentesis. As for secondary outcomes, a significant different was found with regards to time to procedure. The time from procedure referral to procedure completion was less in the bedside group (5.3 hours ± 6.8 vs. 22.5 hours ± 36.5; p=0.001). However, no statistical differences were found in terms of total hospital LOS, the number of units of red blood cell, platelet or fresh-frozen plasma transfused pre- and post-procedure, bacterial fluid culture yield, and the volume of ascites removed during therapeutic paracentesis. Conclusion: This study suggests that bedside abdominal paracentesis performed by Internal Medicine resident physicians and those performed by Interventional Radiologists have similar complication rates. Other clinical outcomes including volume removed during therapeutic paracentesis and the need for blood product transfusion were also shown to be comparable between the two groups whereas bedside paracentesis was found to be superior in terms of time to procedure. The findings of this study suggest that IR-guided paracentesis should not be favored routinely over bedside paracentesis. Cirrhosis affects up to 3% of the United States population and leads to 150,000 hospitalizations annually [1,2]. Ascites is the most common complication of cirrhosis and bears significant association with mortality [3,4]. Patients who are hospitalized for decompensated cirrhosis often require an abdominal paracentesis for diagnostic and therapeutic purposes. A diagnostic paracentesis is imperative for acquiring speciation from fluid culture and has been associated with reduced mortality when the procedure is performed early into the hospital course [5,6]. Abdominal paracentesis carries certain risks including leakage of ascitic fluid, infection, bleeding, and bowel perforation [7-9]. However, numerous studies have demonstrated that the risk of these complications is low [10-13]. Furthermore, guidelines from various societies including the American Association for the Study of Liver Diseases (AASLD) and the European Association for the Study of the Liver (EASL) characterize paracentesis as safe even in the presence of marked thrombocytopenia or prolongation in the prothrombin time. Neither the AASLD nor the EASL dictate guidelines as to if or when to refer to IR for a paracentesis [14,15]. Despite the safety profile demonstrated by systematic reviews and support from national guidelines, hospital internists are increasingly referring this procedure to be performed by Interventional Radiology (IR). A survey completed in 2004 with the American College of Physicians (ACP) demonstrated that the percentage of general internists completing their own procedures was less than half of what it was in 1986 . As shown by national practice patterns, paracentesis procedures are increasingly being performed by IR as opposed to being performed at bedside by the primary team . This increased referral to other services has been associated with an increase in hospital costs, use of resources, and hospital length of stay. The University Health System Consortium database showed hospital costs were estimated to be $1,308 more for admissions with IR referrals compared to those admissions where the internist performed the abdominal paracentesis at bedside . IR referrals are associated with 1.86 additional hospital days and increased likelihood for subsequent ICU transfers [19-21]. The primary aim of this study was to compare the complication rates of patients who had a bedside paracentesis under ultrasound guidance by internal medicine residents to those of patients who had a paracentesis performed by IR. The secondary aim was to compare additional clinical outcomes including time to procedure, bacterial culture yield, and blood product transfusion rates between the two groups. Our findings showed that there was no difference in rate of complications, or secondary outcomes when comparing the two groups, and further showed that bedside paracentesis had a significant advantage in terms of shorter time-to-procedure. A retrospective analysis was conducted of all paracentesis procedures of patients admitted to Stony Brook Hospital from July 2017 to April 2018. Stony Brook Hospital is a large academic tertiary care medical center with an annual inpatient admission census of approximately 30,000 patients . Data was queried based on procedure notes and orders placed in the electronic medical record titled “abd paracentesis w/ imaging.” The term “procedure note” was used to describe an electronic document with details of the encounter that was entered in the chart post-procedure. A “paracentesis procedure encounter” was defined as either a diagnostic and/or therapeutic large volume paracentesis (LVP). “Bedside paracentesis” was defined as an ultrasound-guided abdominal paracentesis completed by an internal medicine resident at the patient’s bedside. Residents either performed the procedure independently or, if not already certified in the procedure, under supervision by a certified physician. All 83 internal medicine residents were trained during a single simulation session with a practice mannequin. These internal medicine residents were also supervised as a group for up to 3 additional procedures. “IR paracentesis” was defined as an abdominal paracentesis completed by the Interventional Radiology service in the IR suite. Out of 150 patient encounters that were admitted to Stony Brook Hospital and had a paracentesis procedure completed (between July 2017 and April 2018), 17 were excluded for not having a paracentesis procedure note. An additional 15 were excluded for acute blood loss anemia or intra-abdominal injury diagnosed prior to the index paracentesis procedure. A total of 118 paracentesis procedure encounters were included in the study. 52 of the encounters had a paracentesis completed at bedside. 66 of the encounters had a paracentesis performed by IR. Patients who met inclusion criteria were assessed for various outcomes associated with a paracentesis procedure (listed in next section). Baseline characteristics including demographic information, vital signs and laboratory data were obtained through chart review. Charlson Comorbidity Index and MELD-Na scores were calculated for each patient based on the laboratory values and diagnoses listed within 48 hours of the index paracentesis procedure. The primary outcomes studied consisted of complications of abdominal paracentesis within 48 hours post-paracentesis. These complications included: intra-abdominal injury, hemorrhage, persistent leakage, and ICU transfer. Hemorrhage was further assessed based on the lowest hemoglobin (Hgb) 48 hours post-procedure subtracted from Hgb prior to the procedure. We defined a potential bleeding complication as a decrease in Hgb greater than a 2 g/dL within 48 hours post-procedure. Secondary outcomes included: need for blood product transfusion, fluid culture yield, hospital length of stay, and volume of ascites removed. Time to procedure was defined as the time from entry of the EMR order for a paracentesis to the time of entry of the procedure note documenting the performance of the paracentesis. The Stony Brook University Hospital Institutional Review Board (IRB) approved this retrospective cohort study (IRB 1198194-2). The requirement for written informed consent from patients was waived. The statistical analysis was conducted using SAS V9.4. To analyze or compare continuous variables either Wilcoxon Rank Sum tests or student t-tests were used depending on normality. To analyze categorical variables chi-square and Fisher exact tests were used. Fisher exact tests were used to help adjust for small cell frequencies. A p-value below 0.05 is statistically significant and is indicated in red. When comparing the baseline characteristics among those who underwent bedside versus IR paracentesis, there were no significant differences among gender, age, race, BMI, hemodialysis dependence, serum creatinine, serum sodium, serum albumin, partial thromboplastin time, platelet count, and anticoagulation status. There were, however, significant differences among scores on the Charlson Comorbidity Index (5.0 ± 5.0 bedside vs. 7.0 ± 4.0 IR; p=0.01), MELD-Na (20.4 ± 9.8 bedside vs. 14.4 ± 8.6 IR; p=0.001), serum total bilirubin (2.0 ± 3.3 bedside vs. 0.9 ± 1.8 IR; p=0.008) and international normalized ratios (INR) (1.6 ± 0.5 bedside vs. 1.4 ± 0.4 IR; p=0.013). A significant difference in time to paracentesis was found (5.3 hours ± 6.8 bedside vs. 22.5 hours ± 36.5 IR; p=0.001). However, there was no significant difference in terms of total hospital LOS (Table 1). Table 1: Baseline patient characteristics for IR and bedside encounters. In terms of complication rates, there were no significant differences for Hgb change and persistent leakage among those who underwent bedside procedure versus IR. There were no instances of intra-abdominal injury and ICU transfers in either group. There were no significant differences in units of red blood cell, platelets or fresh-frozen plasma transfused pre- and post-procedure. 5 (14.7%) of the bedside encounters met criteria for spontaneous bacterial peritonitis, while 7 (17.1%) of the IR group met criteria. Statistically there was no significant difference in terms of SBP diagnosis, positive fluid cultures, and the number of fluid culture contaminants. However, while not statistically significant, 3 (8.8%) bedside paracentesis specimens yielded a positive bacterial culture compared to 1 (2.4%) in the IR group. Lastly, no significant difference in volume removed during an LVP was found between the two groups (3000 ± 2400 bedside vs. 3700 ± 3550 IR; p=0.166) (Table 2). Table 2: Complication rates for bedside and IR encounters. The findings of this study suggest that when controlling for patient characteristics, abdominal paracentesis performed at bedside by internal medicine residents is non-inferior to paracentesis completed by the IR service in terms of complication rates (primary outcomes: persistent leakage of ascetic fluid, intra-abdominal injury, ICU transfers, and Hgb change), and secondary outcomes: need for blood product transfusion, specimen yield, LOS, and volume removed during therapeutic paracentesis. Notably, bedside paracentesis was superior in time-to-procedure when compared to IRparacentesis. These findings corroborate the results of a 2013 study by Barsuk et al. which also looked at clinical outcomes of bedside vs IR paracentesis , whose findings showed that bedside procedures were non-inferior to or even superior to IR procedures in terms of overall clinical outcomes including ICU transfers, transfusions of red blood cells, platelets, fresh frozen plasma, inpatient mortality, and readmissions. In addition to these factors, this study focused on the safety and efficacy of paracentesis in terms of intra- or post-procedure hemorrhage, intra-abdominal injury, and ascitic fluid leak. This study also examined specimen yield, volume removed during large volume paracentesis, time-to-procedure, and LOS. Hemorrhagic complications were evaluated by comparing the Hgb pre-procedure to the lowest Hgb within 48 hours postprocedure. Other studies have evaluated for paracentesisrelated bleeding. Runyon et al. determined bleeding severity based on need for transfusion of packed red blood cells ; McVay et al. and Toy et al. defined significant bleeding by a more than 2g/dl drop in Hgb . Other studies have reported delayed post-procedure intra-abdominal hemorrhage that have occurred up to 4 days after the initial procedure . No statistically significant difference was found in the rate of hemorrhagic complications between the bedside and IR groups (0.35 ± 0.95 bedside vs. 0.2 ± 0.8 IR; P = 0.089). There were 2 (3.8%) instances in the bedside group and 0 (0.0%) instances in the IR group that had a drop in Hgb >2g/dl. However, neither of these bedside paracentesis patients were transfused nor was there any mention of “bleed” on chart review. There was no statistical significance between the two groups when comparing transfusion rates of packed red blood cells, however 4 (7.7%) encounters in the bedside group and 9 (9.0%) encounters in the IR group received red blood cell transfusions post-procedure. Although, none of these 13 patients had a drop in Hgb greater than 2g/dl and were not counted as a hemorrhagic complication. Furthermore we did not show a significant difference in the transfusion rates of platelets and/or Fresh Frozen Plasma between the two groups. The discrepancy in transfusion of packed red blood cells may in part be attributed to the advent of bedside ultrasound, which has improved the safety profile of bedside procedures [9,24], and also to the fact that IR follows separate guidelines for transfusion criteria of all blood products. The consensus guidelines published in the Journal of Vascular and Interventional Radiology (JVIR) recommends platelet transfusion to maintain counts > 50,000/uL and INR correction to < 2.0 while AASLD discourages the prophylactic use of fresh frozen plasma or platelets before paracentesis regardless of the platelet count or prothrombin time [14,25]. Of note, the Barsuk study (2013) found that for those patients referred to IR, there were increased rates of platelet and fresh frozen plasma transfusions  (Table 3). Table 3: Blood product transfusion rates for bedside and IR encounters. No statistically significant difference in either hospital LOS or in the number of days from procedure to discharge was found. This lack of difference in hospital LOS may in part be related to the relatively small sample size of this study. A larger sample size would help with detecting differences in hospital LOS. This study demonstrated a significant advantage in time-toparacentesis (5.3 hours ± 6.8 bedside vs. 22.5 hours ± 36.5 IR; p=0.001), implying an operational and clinical advantage of bedside paracentesis with the potential for more timely diagnosis of spontaneous bacterial peritonitis and improved bacterial culture yield. This study has several limitations. The overall sample size was small, which contributed to the lack of normal distribution of data and ultimately to a smaller power calculation. A few differences in patient characteristics met statistical significance such as the Charlson Comorbidity Index and MELD-NA score. While the Charlson Comorbidity Index was higher in the IR group, the MELD-Na score was significantly higher in the bedside group. As such, it was difficult to judge the difference in severity of illness between the two groups. The significant difference in INR and total bilirubin likely contributed to the elevated MELD-Na scores in the bedside group (Table 4). Table 4: Timing events for bedside and IR encounters. Another limitation of this study was that much of the information obtained came from chart review, which depends on thorough and accurate documentation from the primary provider and consulting physicians. Intra-abdominal infection was not measured as a complication, given its complex assessment via chart review, and would ultimately require a follow-up diagnostic paracentesis, which is not standard-ofcare. The results of this study suggest that bedside ultrasoundguided abdominal paracentesis performed by internal medicine resident physicians compared to abdominal paracentesis performed by Interventional Radiology have similar complication rates, rates of blood product transfusions, and overall similar clinical outcomes. This study further demonstrates a significantly improved time-to-procedure with bedside paracentesis, implying the potential in yielding more timely diagnostic results. As of the writing of this manuscript, the American Board of Internal Medicine (ABIM) no longer requires certification in abdominal paracentesis for graduation from Medicine residency. The findings of this study suggest that bedside paracentesis is a skill worth preserving and should be part of the procedural competencies required by hospitals and healthcare systems of hospital-based internists. As healthcare moves from fee-for-service to value-based care, bedside paracentesis will play an important role in decreasing cost and improved resource utilization. Volk ML, Tocco RS, Bazick J, Rakoski MO, Lok AS (2012)Hospital readmissions among patients with decompensated cirrhosis. Am J Gastroenterol 107: 247-252. Lefton HB, Rosa A, Cohen M (2009) Diagnosis and epidemiology of cirrhosis. Med Clin 93: 787-799. Gines P, Quintero E, Arroyo V, Teres J, Bruguera M, et al. (1987) Compensated cirrhosis: Natural history and prognostic factors. Hepatology 7: 122-128. D'Amico G, Garcia-Tsao G, Pagliaro L (2006) Natural history and prognostic indicators of survival in cirrhosis: a systematic review of 118 studies. J Hepatol 44: 217-231. Orman ES, Hayashi PH, Bataller R, Barritt AS (2014) Paracentesis is associated with reduced mortality in patients hospitalized with cirrhosis and ascites. Clin Gastroenterol Hepatol 12: 496-503. Tian C, Singal AG (2014) Diagnostic paracentesis is associated with improved survival among hospitalized patients with cirrhosis. Gastroenterology 146: 858-859. Moore KP, Wong F, Gines P, Bernardi M, Ochs A, et al. (2003) The management of ascites in cirrhosis: report on the consensus conference of the International Ascites Club. Hepatology 38: 258-266. De Gottardi A, Thevenot T, Spahr L, Morard I, Bresson-Hadni S, et al. (2009) Risk of complications after abdominal paracentesis in cirrhotic patients: A prospective study. Clin Gastroenterol Hepatol 7: 906-909. Sekiguchi H, Suzuki J, Daniels CE (2013) Making paracentesis safer: A proposal for the use of bedside abdominal and vascular ultrasonography to prevent a fatal complication. Chest 143: 1136-1139. Runyon BA (1986) Paracentesis of ascitic fluid: A safe procedure. Arch Intern Med 146: 2259-2261.
cVay PA, Toy PT (1991) Lack of increased bleeding after paracentesis and thoracentesis in patients with mild coagulation abnormalities. Transfusion 31: 164-1671. Sharzehi K, Jain V, Naveed A, Schreibman I (2014) Hemorrhagic complications of paracentesis: A systematic review of the literature. Gastroenterol Res Pract 2014:985141. De MC, Giostra E, Louis MS (2017) Paracentesis and cirrhotic patients: should we fear hemorrhages ? . Rev Med Suisse 13: 1779-1781. Runyon BA (2013) Introduction to the revised American Association for the Study of Liver Diseases Practice Guideline management of adult patients with ascites due to cirrhosis 2012. Hepatology 57: 1651-1653. European Association for the Study of the L (2010). EASL clinical practice guidelines on the management of ascites, spontaneous bacterial peritonitis, and hepatorenal syndrome in cirrhosis. J Hepatol 53: 397-417. Wigton RS, Alguire P (2007) American College of P. The declining number and variety of procedures done by general internists: A resurvey of members of the American College of Physicians. Ann Intern Med 146: 355-360. Duszak Jr R, Chatterjee AR, Schneider DA (2010) National fluid shifts: fifteen-year trends in paracentesis and thoracentesis procedures. J Am Coll Radiol 7: 859-864. Barsuk JH, Feinglass J, Kozmic SE, Hohmann SF, Ganger D, et al. (2014) Specialties performing paracentesis procedures at university hospitals: Implications for training and certification. J Hosp Med 9: 162-168. Barsuk JH, Cohen ER, Feinglass J, Kozmic SE, McGaghie WC, et al. Cost savings of performing paracentesis procedures at the bedside after simulation-based education. Simul Healthc 9: 312-318. Kay C, Wozniak EM, Szabo A, Jackson JL (2016) Examining invasive bedside procedure performance at an Academic Medical Center. South Med J 109: 402-407. Barsuk JH, Cohen ER, Feinglass J, McGaghie WC, Wayne DB (2013) Clinical outcomes after bedside and interventional radiology paracentesis procedures. Am J Med 126: 349-356.
rnold C, Haag K, Blum HE, Rossle MA (1997) Acute hemoperitoneum after large-volume paracentesis. Gastroenterology 113: 978-982. Barsuk JH, Rosen BT, Cohen ER, Feinglass J, Ault MJ (2018) Vascular ultrasonography: A novel method to reduce paracentesis related major bleeding. J Hosp Med 13: 30-33. Patel IJ, Davidson JC, Nikolic B, Salazar GM, Schwartzberg MS, et al. (2012) Consensus guidelines for periprocedural management of coagulation status and hemostasis risk in percutaneous image-guided interventions. J Vasc Interv Radiol 23: 727-736.